In 2009, the Chinese government introduced a healthcare reform plan aimed at providing affordable medical care for its entire population by 2020. 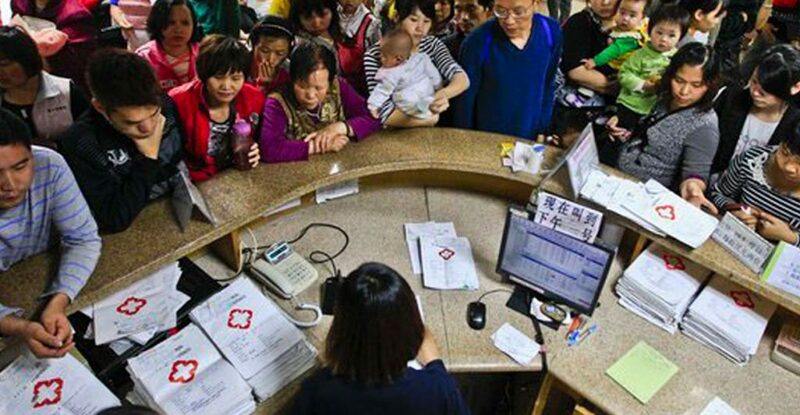 This ¥850 billion reform called attention to inequalities within the country’s public healthcare system, notably the urban-rural healthcare disparity. Reforms have focused primarily on strengthening primary care in lower-tier and remote areas, which will, in turn relieve pressure on hospitals in urban areas. A recent trip to a village in the central province of Shaanxi shed light onto the effects of these reforms and current state of healthcare in rural China. Interviews were conducted with an ophthalmologist at a mid-sized hospital, the director of a village health clinic, a local Ministry of Health official and patients at three hospitals and clinics serving the region. Much of rural China’s landscape is mountainous and difficult to traverse. This leads to the development of small villages with a few thousand inhabitants each, largely siloed from one another and operating as mostly isolated economies. Minor injuries or illnesses are typically treated with Chinese traditional medicines, which are cheap and readily available compared to Western medicine, and rest. For cases that are still unable to be treated, including those that are difficult to diagnose or require unavailable technologies and skills, patients might be advised to visit a hospital in Shaanxi’s capital and biggest city, Xi’an, or a first-tier city like Beijing or Shanghai. Though government directives and policy heavily incentivize choosing primary care facilities, many rural patients forgo the grassroots clinics and go directly to the closest city. 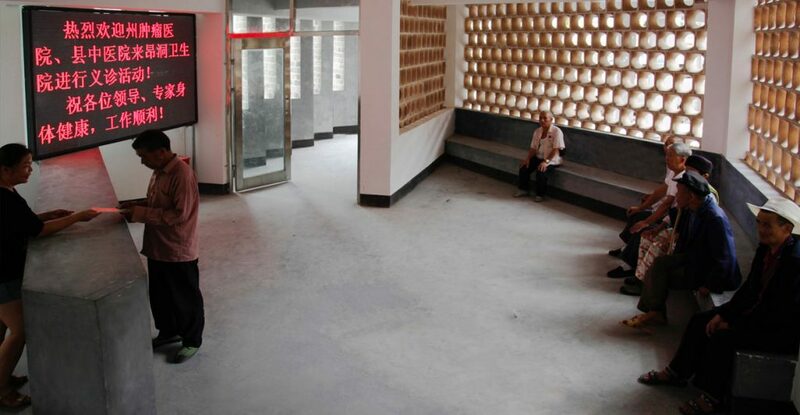 As a result, clinics are empty even in the middle of day while hospitals in nearby cities are so overrun that patients line up outside of the hospital the night before to collect an appointment ticket for the next week. While there exists a notable difference between the quality of care received at hospitals and clinics, quality alone cannot explain the difference in utilization rates, especially since hospitals with advanced equipment and surgeons are not needed for common illnesses like colds. A village doctor said that to understand rural China’s patterns of healthcare utilization, one must understand their relationship to money and power. The Communist Party’s role is more pronounced in rural China—signs and billboards line the dirt roads imploring citizens to be loyal to the Party, government officials meet in smoke filled banquet rooms to discuss deals, corruption is less regulate. To get into the best schools, to get a building approved, it is beneficial to know a government official and even more helpful if one has the funds to bribe him. Thus, many rural patients believe that only if they spend large sums of money and go to the hospitals with the most “power”, they will receive quality care. This is especially true for parents whose children fall ill. He attributed the modest results of the government’s reform efforts to this patient attitude, as well as a disconnect between the government’s anticipated timeline and the actual time needed for implementation of policy from top-down. When a new policy or reform is instated, the entire hierarchy of healthcare is expected to change immediately. Realistically, the local government needs time to inform citizens of the changes, hospitals need time to restructure their systems, and citizens need time to begin to trust the primary care facilities. To help expedite this process, local government has taken to requiring all citizens who are registered Communist Party members to do “community service”. Each Party member is assigned a number of rural families to visit in their village homes. The families are informed of policy changes and how they specifically will be affected. Any questions are answered personally on the spot. Though about 95% of Chinese citizens now have some sort of health insurance, there are still major challenges in accessibility and affordability that need to be addressed, particularly for the rural population. Looking forwards, the Ministry of Health needs to prioritize public health education and promotion, as preexisting misconceptions about medicine will need to be replaced by scientifically sound views. Technology could play a pivotal role as well; telemedicine, or healthcare and consultations provided remotely, connects patients in difficult to access rural areas with doctors they trust in the city hospitals. This connection may seem like a quick fix but over time, telemedicine could raise the overall quality of village doctors and serve as a tool in their training process, helping to ensure that they are the best doctors they can be for their rural patients. By working from the bottom up, the local government is trying to change public perception and ensure that policies made by the central government are fully realized on the small scale. A full report on inequities in public healthcare in China will be released in the coming months featuring additional details on rural healthcare.